I am not a big fan of cabbage, I hate the way it smells and I even hate the way it tastes, whether it’s cooked or raw. It’s just awful. 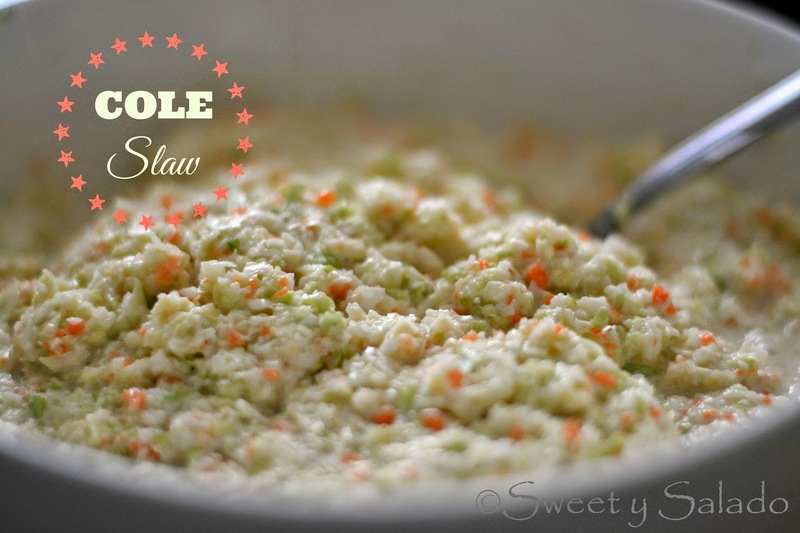 I do love it if it is in a creamy, sweet and delicious cole slaw, that’s the only way I can eat it. On top of that, I’m very picky when it comes to cole slaw, the cabbage can’t be too thick or dry and it can’t have any raw onions. I just hate getting that little surprise of onion flavor with a big spoonful of cole slaw, it just ruins my whole meal. 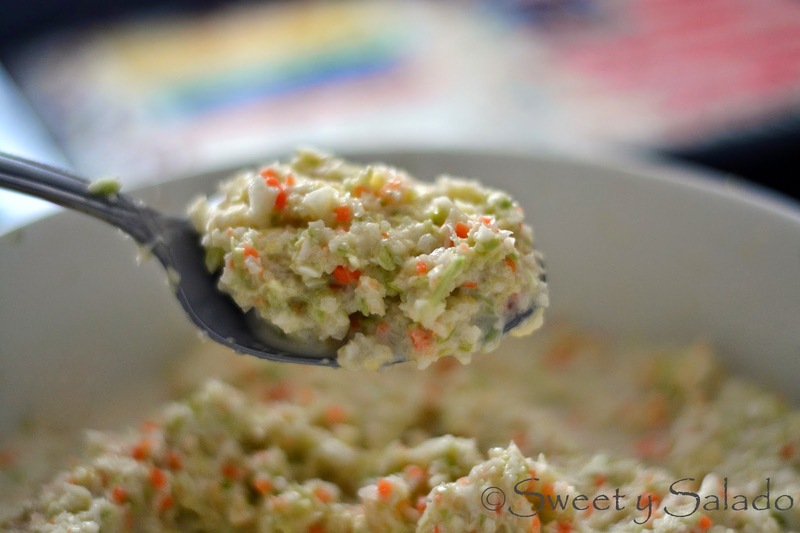 I found the recipe I’m sharing today online years ago when I was looking for a copycat version of KFC’s cole slaw and let me tell you, it’s amazingly good. Of course, as always, I made a few changes to make it just they way my family and I like it and we love it so much that I always have to make it several times to serve at almost every single BBQ. It really doesn’t matter what type of cabbage you use to make it, it can be green, red or both. You can shred it with a knife, grate it with a grater, or with a food processor, or to make things faster and easier, simply get the cole slaw mix bags they sell at the grocery store. 1. Rinse and dry cabbage really well. Remove the outer leaves that may be damaged. Cut it in half and then into big chunks. 2. Peel the carrot and cut it into 3-4 pieces. 3. Chop the cabbage in batches by putting the big chunks in a food processor. Add the carrot to the last batch. If you want you can shred it with a knife or grate it with a grater. 4. Place the shredded cabbage and carrot in a big bowl and set aside. 5. In a medium bowl mix all the ingredients for the dressing. 6. Pour the dressing over the cabbage and mix well with a spatula or big spoon. Cover with plastic wrap and refrigerate for at least 4 hours, preferibly overnight. 7. Uncover the next day and serve cold. Adapted from Top Secret Recipes.